Community Feedback: What Would You Like to See? HomeNews & CommunityCommunity Feedback: What Would You Like to See? A lot has changed on the blog over the years. Most for the better, some for the worse, but always intended to move forward and grow. Blogging and growing a community is a learning experience for sure. To that end, I just wanted to set up an open forum to the readers of the blog, the community, to see what you all would like to see here. Is there something we’re not doing that you feel would be great to see? Are we doing something infrequently that you’d like to see more of? Would you like to see us cover more gaming systems than just 40K? All is fair game. So again, I’d love to hear from you all on the things you’d like to see here. Don’t be shy. You pretty much mention the two things I would like to see more about here, tutorials and more gaming systems. I don’t have an interest in PP’s games but they are very popular and Bolt Action is growing quite fast. If you expand into other systems, maybe get a new writer to help out with that system. 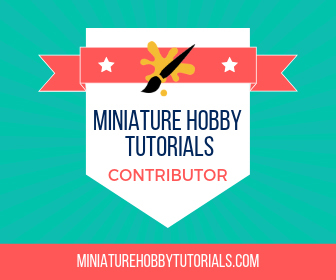 As for the tutorials, I love to read hobby ones (which I do way to much, it’s a great way to learn new things), everything from color theory to basing and everything in between. I am trying to recruit authors for other gaming systems currently as I just don’t have the time to play any others. Hobby tutorials is on the agenda for sure. I just have to get some projects going that will lend themselves to a walk-through. Hopefully in the next few weeks. I’m not really into reading about other gaming systems since I don’t really have any time get into another one but board games are nice to read about. Other than that – narrative gaming, modelling and painting and written battle reports. I enjoy video Batreps but have loved sitting back and reading about your experience, its what makes your Blog so great. If you maybe meshed them. A 15 minute highlight of the battle but a written response to the after action would be excellent. Maybe some thoughts from your opponent would add to it. I really think you should expand into other systems, a quick skirmish game could find a way into your life with a little bit of wiggle. I have a ton I’m working through and glad i did. I certainly wouldn’t do all bat reps as videos. Too much time involved there, as you well know. It would be more of a once in a while thing, just more often than one a year; about my going rate. I honestly just don’t have the time to pick up anything else. Lately I’m barely managing to get to XRG on account of life and my hobby time is virtually non-existent lately. I would only have time for another game if I replaced 40K with it and that’s not something I’m about to do.